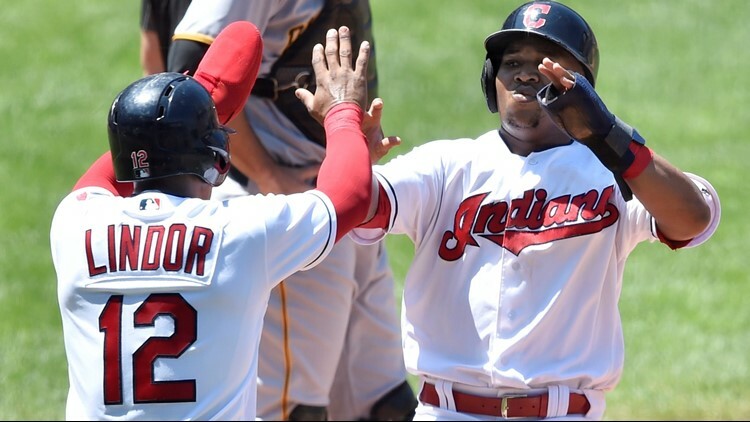 As the Cleveland Indians hit their late-season stride, Francisco Lindor and Jose Ramirez have emerged as legitimate American League MVP candidates. CLEVELAND -- As the Cleveland Indians returned from the MLB All-Star break, Jose Ramirez's competition in the race for American League MVP appeared clear: Along with the Indians' third baseman, Los Angeles Angels star Mike Trout and Boston Red Sox outfielder Mookie Betts would be vying to be named the AL's top player at season's end. But with the Indians now on the verge of hitting their annual late-season stride, another candidate for this year's A.L. MVP appears to have emerged. And he just so happens to play next to Ramirez on a daily basis. 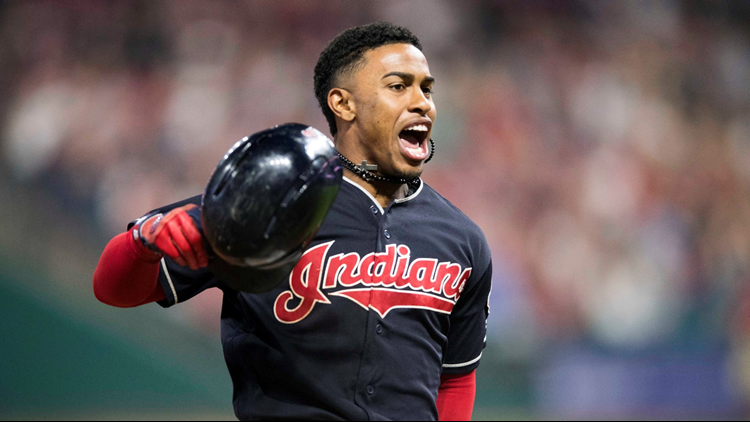 With his 9th inning, walk-off home run to secure a 5-2 victory for the Indians over the Minnesota Twins on Wednesday night, Cleveland shortstop Francisco Lindor might also launched what could very well be a late-season surge in the MVP race. If this were any other season, Lindor's name would likely already be a linchpin of the MVP conversation. Through 159 games, the All-Star shortstop is hitting for a .297 average, .376 on-base percentage, .572 slugging percentage and .948 OPS. to go along with 29 home runs, 71 RBIs and 17 stolen bases. With what were less impressive numbers across the board a season ago, Lindor finished fifth in voting for the AL MVP, which was ultimately awarded to Houston Astros second baseman Jose Altuve. For comparison's sake, Lindor posted a 5.5 WAR (wins above replacement) last season, which ranked 25th in the MLB. This year, the 24-year-old lays claim to a 6.9 WAR, tied for fourth-best in all of baseball. The problem for Lindor, however, is that three players ranked ahead of him in what many consider to be baseball's defining statistic in the modern era, all happen to also play in the American League. Not only that, but Trout (7.8), Ramirez (7.2) and Betts (7.1) are doing so with numbers so impressive that many have already considered them the only candidates remaining for A.L. MVP. But if there's a player who could change that, it's Lindor, a 3-time All-Star who is also one of baseball's brightest young stars. Factor in his defensive ability at one of baseball's most important positions and the 2016 Gold Glove winner's all-around talent may just be enough to make the MVP race a foursome. That will ring especially true if Cleveland -- which has won six of its last eight games -- can continue its second-half surge. After all, it was around this time a year ago the Indians' 22-game winning streak was just beginning, which resulted in Ramirez (third) and Lindor (fifth) both earning top-five MVP finishes. Another historic streak would appear unlikely, but similar a result in award voting hardly seems like a stretch. Could the Indians finally capture their first MVP since Al Rosen won the award in 1953? Ramirez -- and now Lindor -- are both doing their parts.